Who Should Use A Franking Machine? 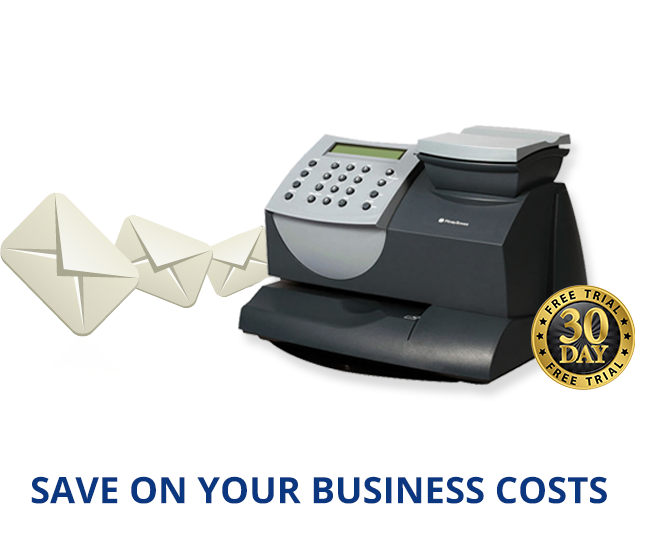 Franking machines are popular with companies of all sizes, especially those who send larger volumes of mail than usual. There are many benefits to franking mail, a business will use franking in order to save money on postage and the franked mark also gives postage a more professional appearance. This key piece of equipment is used across a varying type of businesses and are still heavily used across traditional industries such as Law, banking and Insurance, as these verticals require communications to be in hard form. What Are The Benefits Of A Franking Machine? Franking machines can provide a plethora of benefits for a business. Large savings can be made over time if the machine is used correctly, since the exact weight of the packages are calculated rather than thresholds which Post Office’s normally use. This means there will be no more guessing or overpaying ‘just in case’, instead you pay the exact amount every time. 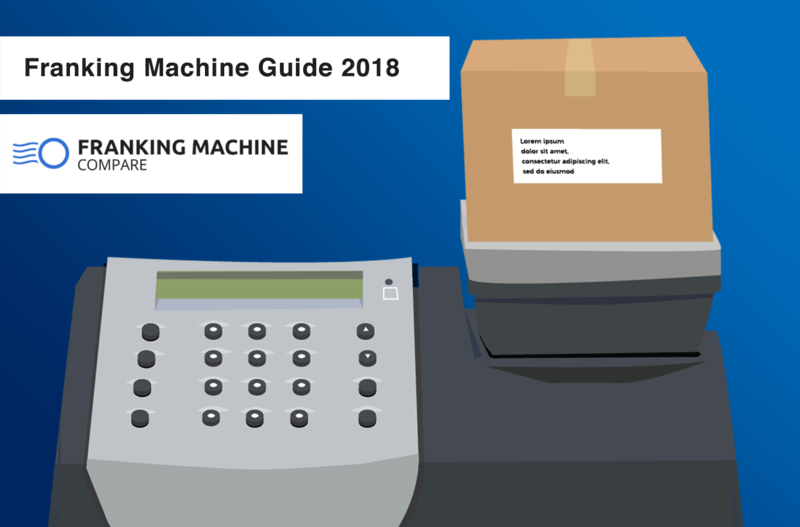 Ownership of a machine (or if you decide to rent a franking machine) allows you to access a facility whereby you can prepare mail to send at your leisure, not requiring a Post Office to be open. This is very convenient and you can also top up the postage credit on the franking machine anytime meaning you will never find yourself without it. Franking your mail is also a great way to market your business as the franked stamp looks professional and can be tailored to include your company logo. Usually, you can add a promotional message on the envelope too and use your mail as an additional advertisement tool. Another benefit of franking mail is that most machines have automatic accounting meaning that there is an ongoing record of your mail expenditure, this can also be separated into departmental accounts making keeping track of finances even easier. How Does A Franking Machine Work? Step 1 – Place your letter or parcel on the inbuilt scales of the machine. Since you are attaining the exact weight of the package, and not using traditional thresholds which are found in Post Offices, you are paying for exactly what you have and in turn, saving money. Do you want to go first class? Perhaps it only requires second class? In any case, it’s your mail, you decide which options suit you. This typically beats the cost of a stamp. Do you want a message to appear on the parcel or the letter? Some franking machines allow you to customise what is printed, a great opportunity to add your company branding and raise awareness. Franking Machines automatically calculates the exact postage cost, you may qualify for bulk franking discount through Royal Mail. Slide envelope or label into the printing slot. This is then franked with the data, postage, company logo or message and finally, a unique 2D barcode. You have a 24×7 post office counter in your office. Mail goes into post box – ensure you use a metered mail envelope. You can also use a your local post office (when open) or a business posting box. One option is to lease or rent a franking machine and depending on the supplier you go with (there are 4 royal mail approved suppliers) and the functionality, you will most likely pay between £15 to £50 a month. A rental contract can generally last between 1 to 3 years. The advantages to renting are the inclusion of maintenance coverage in the agreement, the support given with Royal Mail licensing and also the large number of suppliers to choose from. However some companies decide not to rent as it means you have a reliance on the supplier. 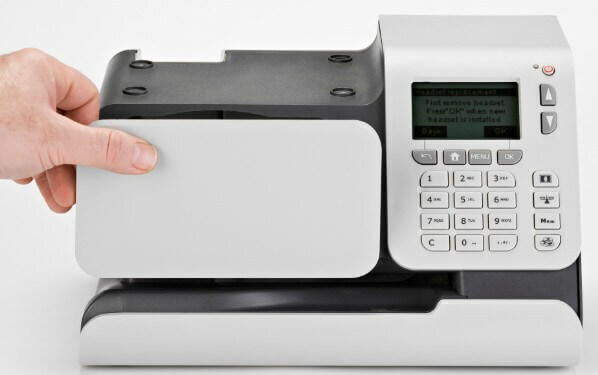 Purchasing a franking machine can cost anywhere between £1,000 to £10,000, when factoring in the lifetime of the equipment, which is around a decade, it can make sense for some businesses. If a business sends a lot of marketing material or comms through the post, it can save more money in the long run to buy the machine outright. Purchasing a machine means you may lose money initially but over time you will make large savings. You will also have complete control over the machine meaning you have the ability to shop around for the consumable items such as ink cartridges so you can find the best option for you. PwC. (2013). The outlook for UK mail volumes to 2023. Available: http://www.royalmailgroup.com/sites/default/files/The%20outlook%20for%20UK%20mail%20volumes%20to%202023.pdf. Last accessed 2nd April 2017. Where Can I Purchase A Franking Machine? The best place to buy a franking machine is online, generally, they are not sold directly on websites and require a call with the supplier directly. Requesting a franking machine quote can make things much easier and this is where we comes in. We compare the market on your behalf, all you have to do is fill out the form at the top of this page. When you are looking for a franking machine to buy you should ensure it is made by one of the UK’s 4 Royal Mail approved franking machine manufacturers. These are; Pitney Bowes, Neopost, Frama and Francotyp Postalia. You can buy franking machines directly from these companies but there are usually better deals available from the smaller, independent suppliers. There are 20 Royal Mail approved independent suppliers in the UK who can sell, rent or lease machines to you. When buying a franking machine always ensure the supplier is Royal Mail approved and they sell Royal Mail approved machines. Royal Mail themselves do not actually sell franking machines but here is our list of suppliers.